Do you dread cleaning, because the work seems tedious or you just can’t seem to get the results you want? We understand. We’ve been there. Lucky for you, we’ve rounded up some cleaning tools to make chores more fun and you more efficient, so you can get done quicker and enjoy yourself while doing so. Scrubbing grout and tile can be tedious, but there’s one common household tool that can reduce the elbow grease required – an electric drill. 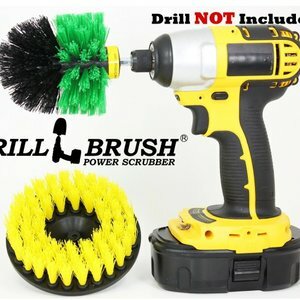 The folks at Drill Brush have invented a line of drill attachments for everything from wheel buffing to scrubbing tile and grout, like the kit pictured. 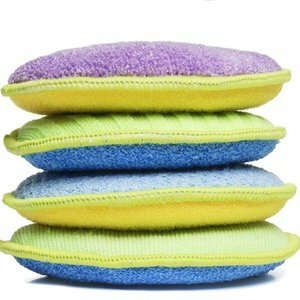 There are also scouring pads for scrubbing smooth surfaces, so make sure you check out the whole line. You may find something more fitting for your specific bathroom setup. No, this isn’t in the wrong category. It is, indeed, intended for use in the bathroom. This product is for those of you who like to take a preventative approach to cleaning. All you have to do is fill it with ½ dish soap and ½ vinegar, shake, and hang it in the shower on a hook. Next time you’re in there enjoying 5 extra minutes of hot water (Come on, you know you do! ), use the scrubber to touch up your bath tile. You’ll find yourself having to do a full shower scrub less frequently. Want your glass shower doors to continue looking nice? 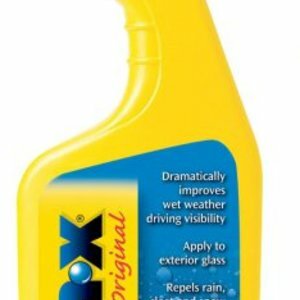 Spray on Rain-X ever 3 months! This will make the water bead and prevent soap scum build-up. Just make sure that you apply in a well-ventilated area and give it some time to air out, because there will be a strong alcohol smell. Need to get into the nooks and crannies of your bathroom (or kitchen) sink? 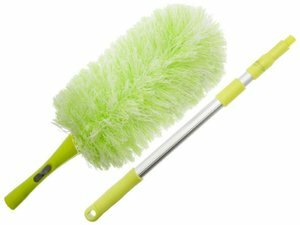 Try this Deep Clean Brush Set from OXO Good Grips. There are two sizes of brushes that are good for getting around faucets and in shower door tracks. 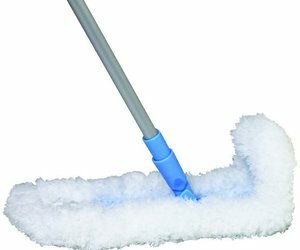 The smaller brush has a wiper blade for cleaning out around drains and in other crevices. 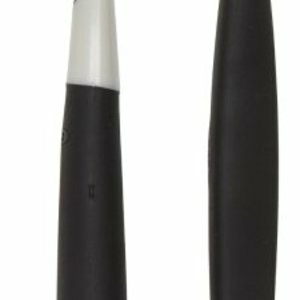 These brushes are durable and sure beat using an old toothbrush. Love RC cars? Hate mopping. Problem solved! 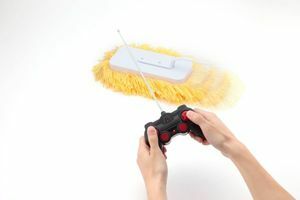 This remote controlled mop lets you clean without wrestling with a mop handle. It only ships from Japan, and we foresee some issues with height and the little handle on it getting stuck on things, but overall, we imagine this will add an element of fun to your chore list. A popular feature for custom homes, especially Craftsman Style, is lots of molding – baseboards, chair rail, crown, etc. Keeping up with the dusting can be difficult. You need a tool that will adjust to fit around the grooves and edges. The e-Cloth Flexi-Edge Duster is just that. The fluffy head easily bends into and around tight places and odd angles picking up dust and dirt. Plus, the head can easily be cleaned and reused over and over again. Reviews claim it’s even better than the Swiffer products. 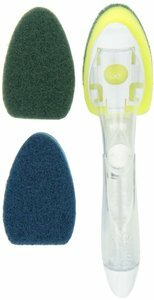 You’ve probably seen the Swiffer WetJets that have a canister of cleaning solution, spray jets, and disposable pads for absorption. O-Cedar has a spray mop that’s similar, but is more cost-effective. The canister can be filled with whatever cleaning solution you prefer and the pads are microfiber, meaning they can be washed and reused over a hundred times. Sure beats buying refills! 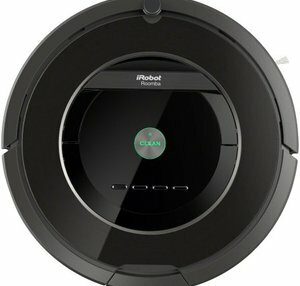 This high-rated robot will zoom around your home and vacuum your floors for you. It comes with sensors, so you can customize the area it cleans (and keep it from going down steps) and you can program it to run to a schedule that fits your lifestyle. It will work on carpet, tile, and wood, and will dock/undock itself. This particular version has features to prevent tangling, and it has a HEPA-style Filter that traps dirt, dust, and allergens as small as 1 micron. It may not replace a good mopping, but it will cut out some work. This little device is good if you don’t have a dishwasher or get stubborn food stuck on your cutlery. 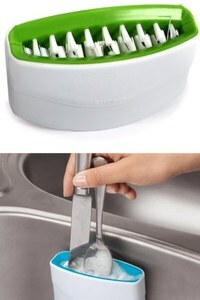 It sticks to the side of your sink and has built-in non-scratch bristles for scrubbing. Just added detergent. Then, stick your forks, spoons, knives, etc. inside, move them around, and your scrub time is cut in half! These donut-shaped scrubbing pads are great for washing dishes. The scrubbing side won’t scratch your pots and pans, and you don’t need to throw them away after a few days of use. Just drop them in the washing machine and reuse! Cleaning dust in high places can be a major pain. Some extension dusters claim to do the job, but end up leaving dust behind or fall apart when you try to use them. 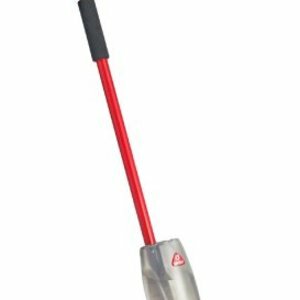 The Pure Care Microfiber Duster with Extension Pole has a head on it that will grab dust and dirt. It squeezes into tight places, bends when needed, and is washable; so no paying for refills! 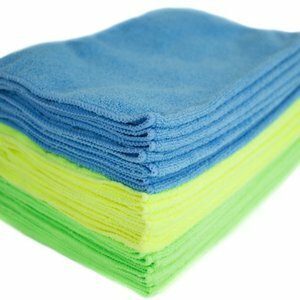 You may be thinking, “You want me to buy fancy washcloths?” Seriously, once you start using microfiber cloths, you will notice the difference. These are lint-free and streak-free. They absorb 8x their weight in water and dry in half the time of standard cloths. They can be washed over and over again for long-term use, and are great for dusting, washing windows, and general cleaning. They will save you time cleaning by providing better results (no rewashing streaked windows) and will save you money by cutting back on cleaners (some people just use these cloths and water to clean their windows). Buying cleaning tools you can wash and reuse is always a good idea, but sometimes the means outweighs the cost. 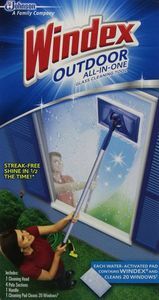 The Windex Cleaner Window Outdoor All-In-One Kit is one of those. It comes with an extendable handle and disposable cloths pre-loaded with Windex cleaner. All you need is a hose and you’re good to go to clean the exterior of your windows. The extendable handle lets you get those hard-to-reach windows and the package of refills last a long time. Make note, the key to no streaking is washing the windows in an overcast. As of the date this blog was posted, Bruno SmartCan is the pre-order stage, and we predict it will be very successful. 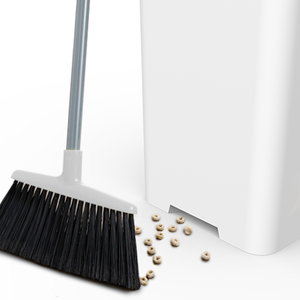 This smart trash can includes a built-in vacuum, so there’s no need for a dust pan when you sweep. More expensive versions also include smartphone features that tell you when your trash bags are getting low and when it’s trash day. It may not take the trash out for you, but it does have some pretty neat features. 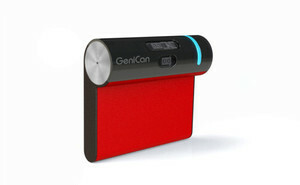 Just like SmartCan, the GeniCan is currently in pre-order, but serves an entirely different purpose. This fancy device scans the goods on food being thrown away, adds it to a virtual shopping list, checks the food against a database of coupons, and notifies you when the trash can is full. It’s not a trash can in itself, but fits most square/rectangle cans. We’re still waiting on a trash can that makes the junk disappear, but this is a great little device to use until then. 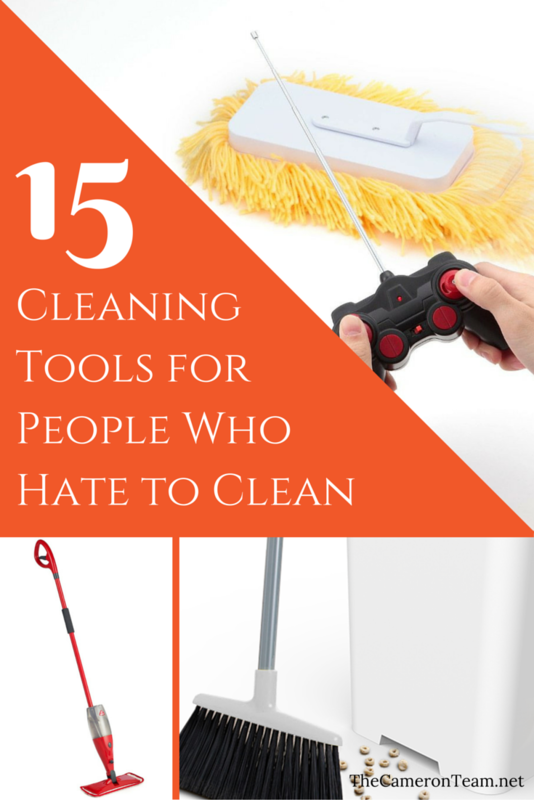 Have you found a useful cleaning tool that’s not listed here? Share it in the comments below!